The sub-brand Realme of Oppo is ready to launch their most-awaited Realme 2 Pro smartphone on September 27 in India. 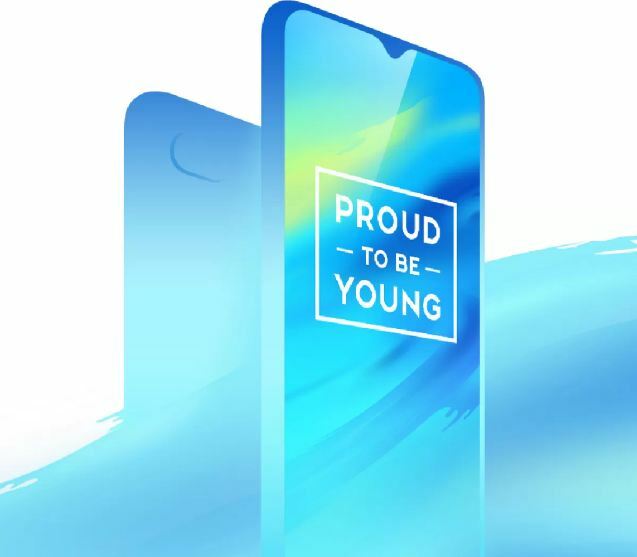 This one will be the successor device of the previous generation Realme 1. 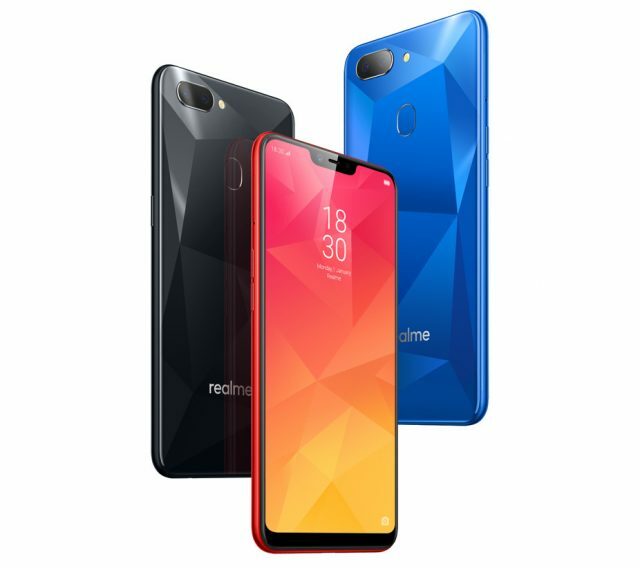 The company launched early this month an entry-level device called Realme 2 but the specifications aren’t suited the model name. Though, the device performance and pricing is decent enough in its segment and getting a good response as well from users and reviewers. Now it’s time to welcome the much-anticipated true Realme 1 successor device called Realme 2 Pro. 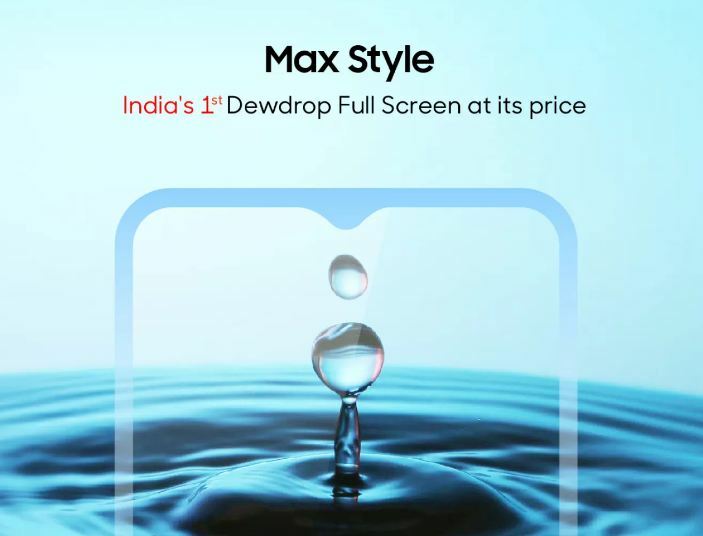 The device is already getting a huge response and feedback due to the powerful Snapdragon 660 chipset with AI capabilities, dual rear camera, glass design with the 2nd generation diamond cut finish, 19.5:9 aspect ratio dewdrop screen etc. Recently, the device spotted on Geekbench benchmark test with the 8GB RAM variant. 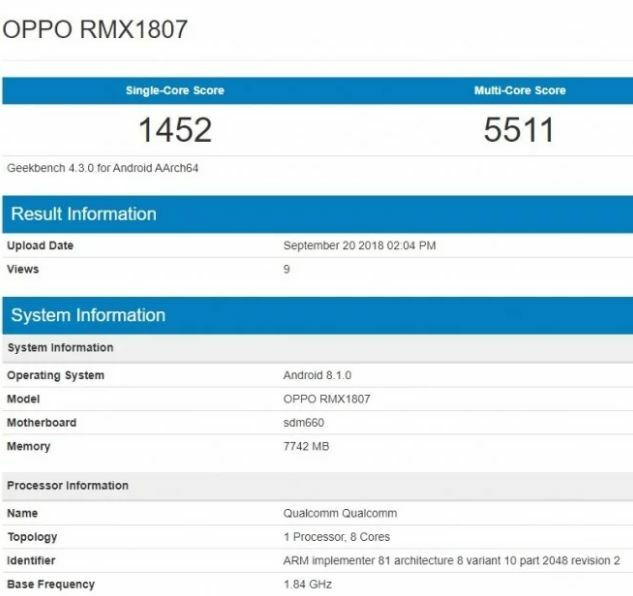 This Oppo model name appears as OPPO RX1807 on the test result running on Android 8.1 Oreo with ColorOS 5.1 version. The SDM660 AIE SoC is an octa-core processor spotted with the base frequency of 1.84GHz scored around 1452 on a single-core test and 5511 on the multi-core test. Realme CEO Madhav Seth had already shown the handset and mentioned that the device will come with the 6.3-inch 19.5:9 ratio FHD+ notch display and the Snapdragon 660 chipset. However, he mentioned that Realme brand now becomes an individual online brand from Oppo and they will carry on the better budget specific powerful all-rounder smartphones in India. The ColorOS is much stable and powerful including AI features, but most of the users don’t like the interface, settings options, and it lacks a few customizations also. So, the company working on it and they will come with a new Realme specific software and UI very soon. The handset could come with 4GB/6GB RAM variant as well to fill up the space of previous one. The Realme 2 device price starts at Rs.8,990 for the base 3GB RAM variant and the 4GB RAM priced at Rs.10,990. So, the Realme 2 Pro is expected to be priced under Rs.20,000 in India for the higher 8GB RAM variant. Whereas, the 3GB/4GB model will be priced around 13K INR. The handset will be available from September 27 at 12:30 PM onwards exclusively via Flipkart just after the announcement.